In May 1985, when Tania Aebi was 18 years old, she cast off from the docks of South Street Seaport in lower Manhattan and sailed 27,000 miles around the world—alone—on her Contessa 26, Varuna. Concerned about her lack of ambition, her father offered her this opportunity as an alternative to a college education, and she took him up on it. With just a cat for company, she crossed the Caribbean, the South Pacific and Indian Oceans, the Red Sea, the Mediterranean, and the North Atlantic, stopping in 23 countries along the way. In November 1987, at 21, Tania Aebi returned to New York City, a solo-circumnavigator. She spent the following year reliving the trip in words, writing her bestselling book, Maiden Voyage, a personal account describing her coming of age odyssey and dramatic childhood. Nowadays, as her boys turn into young men, she continues to write, runs her businesses, and is working on her next book—in between keeping the paths shoveled and wood fires stoked in the winter, the gardens planted, weeded and productive in the summers. You may know us as Women for Sail, or Tania Aebi’s Sailing Adventures, or Adventure Voyaging—name branding has never been our forte!—or not at all. 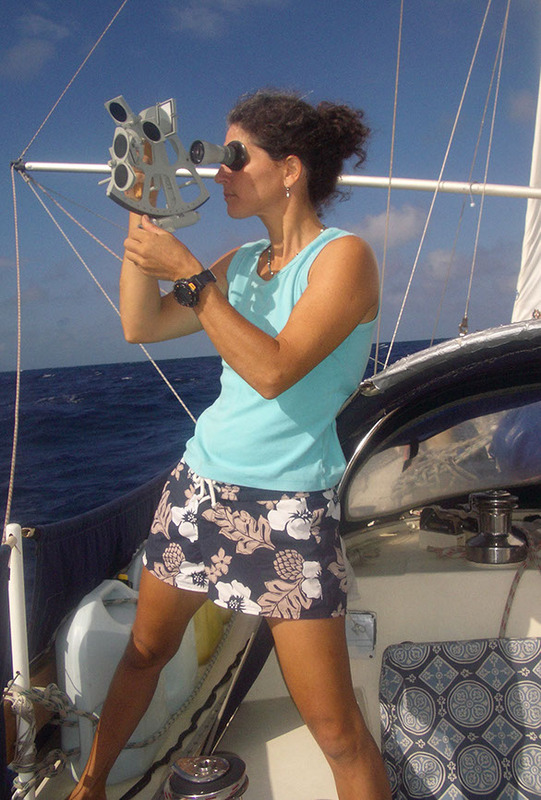 For over 20 years, Tania (and fellow sailing adventure group leaders) have been organizing 7-10 day charters all around the world, providing safe sailing fun to hundreds of vacationers who have also been curious about learning. We do not do boot camp, but we will introduce as much or as little as anyone wants to know about navigation, points of sail, docking, maneuvering, anchoring, and basic engine maintenance. We take care of all the charter logistics. All you have to do is show up at the designated marina on the trip start date—we are also always happy to help with the travel planning—your collapsible bags filled with our suggested packing, ready to build some lifelong memories of time on the water.